The "Anthem" is like no other Timber Wolf you've ever experienced. 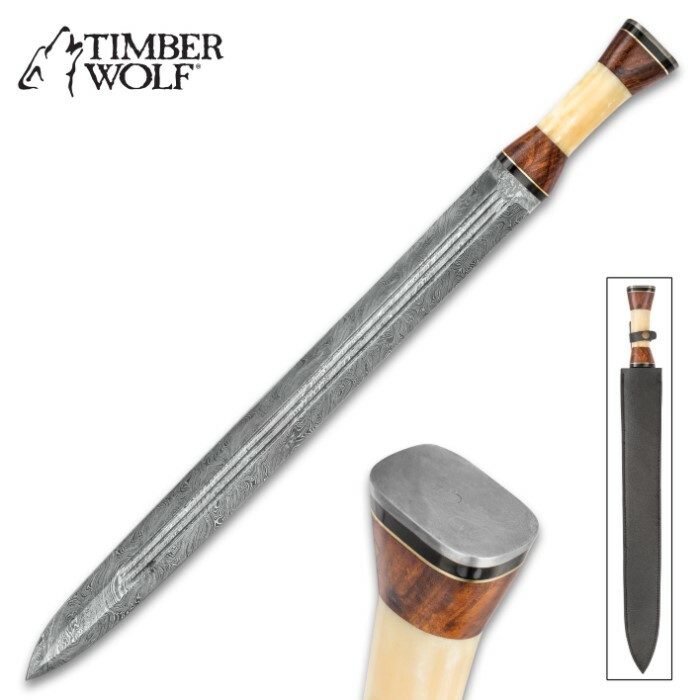 One of the first swords to bear the iconic howling wolf insignia, this double-edged Damascus steel beauty represents uncharted waters for Timber Wolf, but the legendary knife maker navigates them flawlessly. 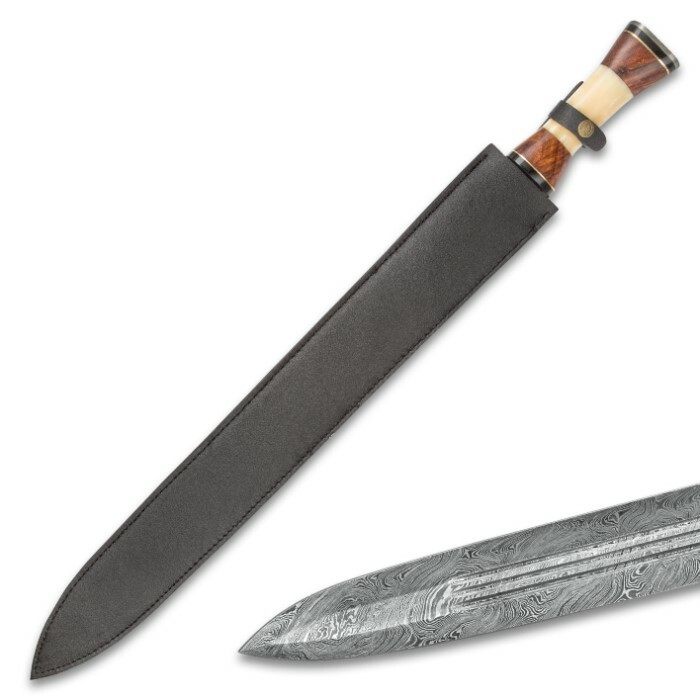 The blade is nothing short of breathtaking - hand forged from with same premium Damascus steel and painstaking attention to detail boasted by so many Timber Wolf knives. As if swept up in some unseen current, thousands of distinct, contrasting lines twist, writhe, ripple and whirl across the surface of the Anthem's sleek gladius-like blade. Each line represents a distinct layer of steel, one of multiple unique high carbon alloys folded and hammer welded together as part of a metalworking technique with roots stretching back to Middle Ages Syria. Today, Timber Wolf''s seasoned bladesmiths perform each step in much the same way as their ancient forebears: painstakingly and by hand. No automation. No mechanization. As beautiful as it is, the Anthem is more than just a showpiece, however. Each edge is razor sharp, culminating in a bitter, stinging point. 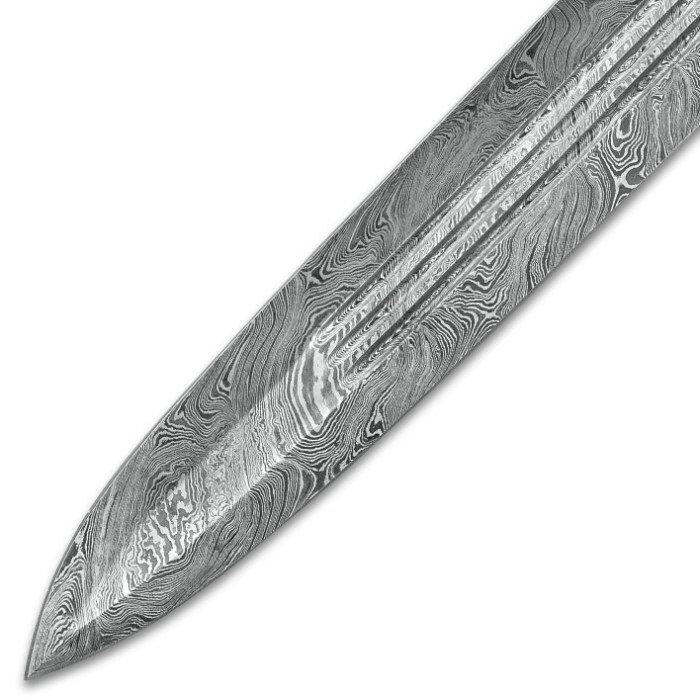 The central ridge is robust and bolstered to withstand the added pressures of sword length and action. 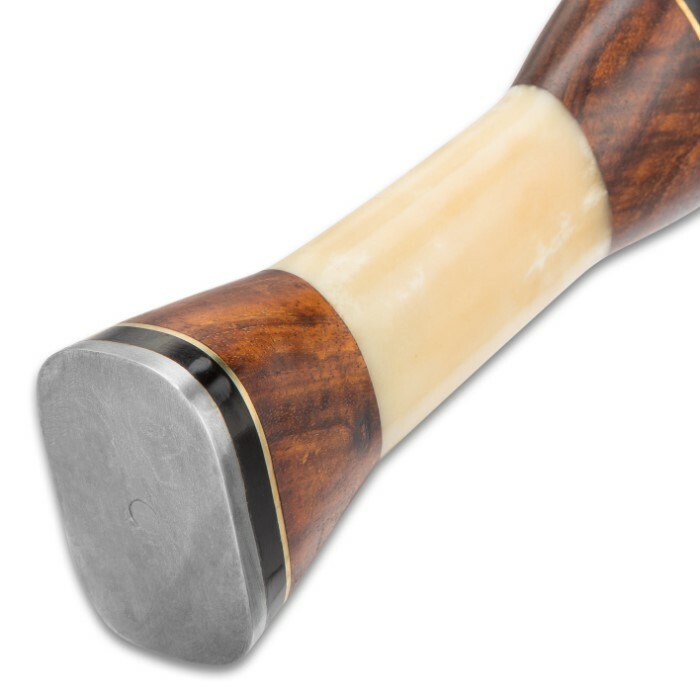 Like the blade, the handle is classic "Timber Wolf" - skillfully fashioned from rustic camel bone and walnut, which are offset handsomely by elegant brass spacers. 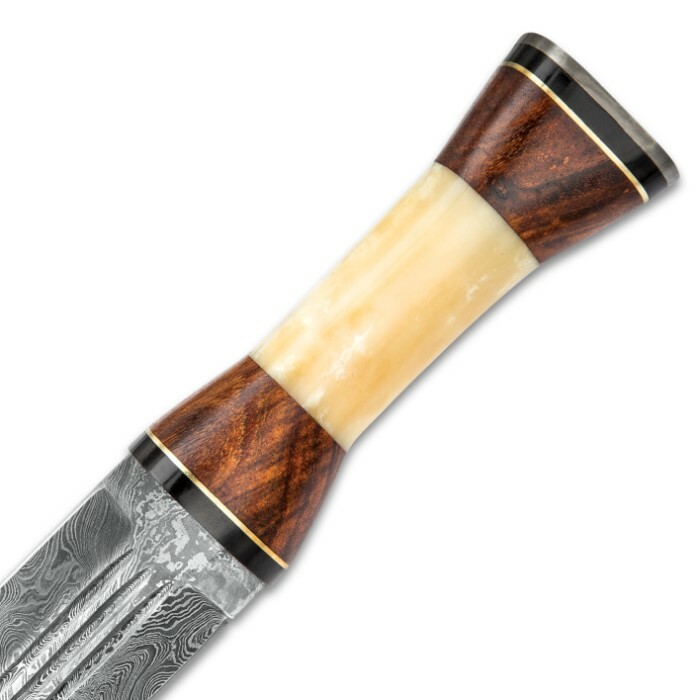 The Anthem is without question unique - a must-have for any serious cutlery collector and the envy of all whose collections lack it. Not a collector? The Anthem is the perfect place to start. With its stunningly patterned Damascus steel, stately handle and overall distinctive look, Timber Wolf's Anthem is perfect even for those with no prior interest in knives or swords. Place it on your mantle or mount it on your wall; no matter your design scheme, the Anthem melds seamlessly and demands attention from all who lay eyes on it. But no matter how you decide to enjoy it, wielding the Anthem is an experience you just can't neglect.